Cellulite is a pathological condition that affects the dermal tissue at a deep level. Besides altering the aesthetic appearance of the skin, cellulite affects the functionality of blood and lymphatic vessels. Its most triggering factors are: a decrease in oxygenation induced by genetic and environmental factors, an accumulation of edema, which means that the tissue becomes increasingly hypoxic to the point of generating fibrotic areas and nodular sclerosis. From a medical point of view, we can act in a reversible manner only on first and second degree cellulite, while for the more advanced stages, we can only halt the degenerative process. Moreover, remember that several types of drugs such as birth control pills, antidepressants or cortisone, promote the formation of cellulite and weight gain. 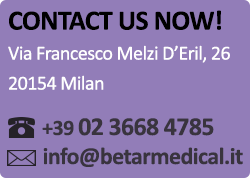 Contact Betar Medical beauty center for further information and find the best cellulite treatment for your needs.